Airborne and Impact Noises. One of the better options if there is enough height in the room to drop the ceiling by 4inches. This is a one of the cleanest system to install as the original ceiling stays intact. The old ceiling will be left for first layer of defence against airborne sounds. 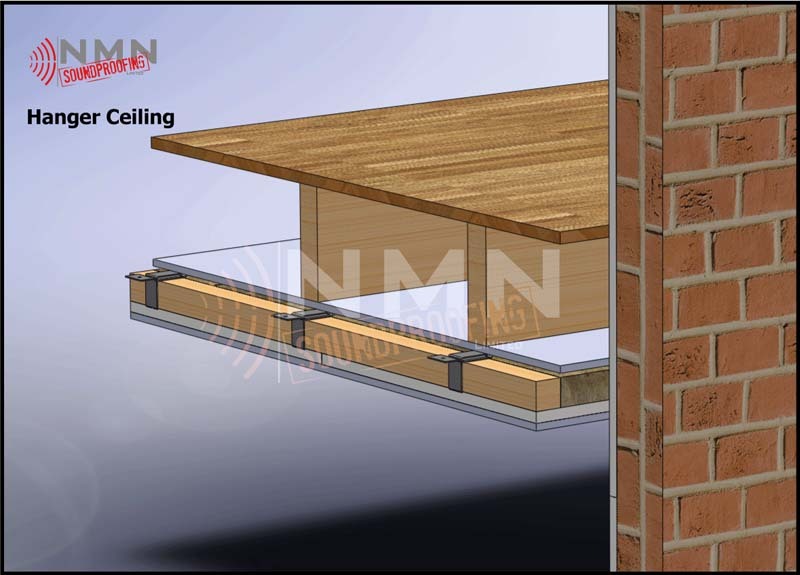 Isonic Hangers are fixed to the existing joists. Batons are fitted through these hangers to form a base for the new soundproofed ceiling. We incorporate resilient bars onto the batons for added impact performance. 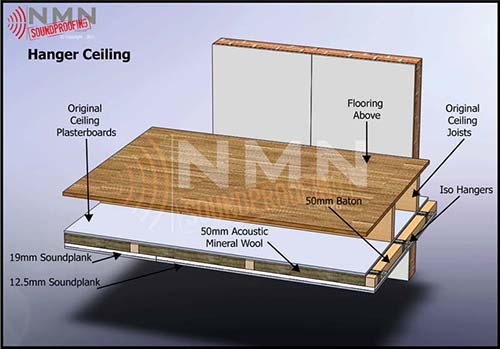 This system also utilise acoustic mineral wool between new frame structure and two layers of acoustic plasterboard 19mm and 12,5mm. The perimeter and all joints on 1st layer off board will be sealed with acoustic mastic.